Perfect way to enjoy Creme eggs during the build up to Easter or during Easter is blitzed up in a megashake along with salted caramel and custard. Oh yes! It is such a lovely drink to have as a dessert. This is such a dreamy combination and here is how you make it! Blitz the ice cream, custard and milk and 1/2 of the Creme egg together. Pour into a mason jar. 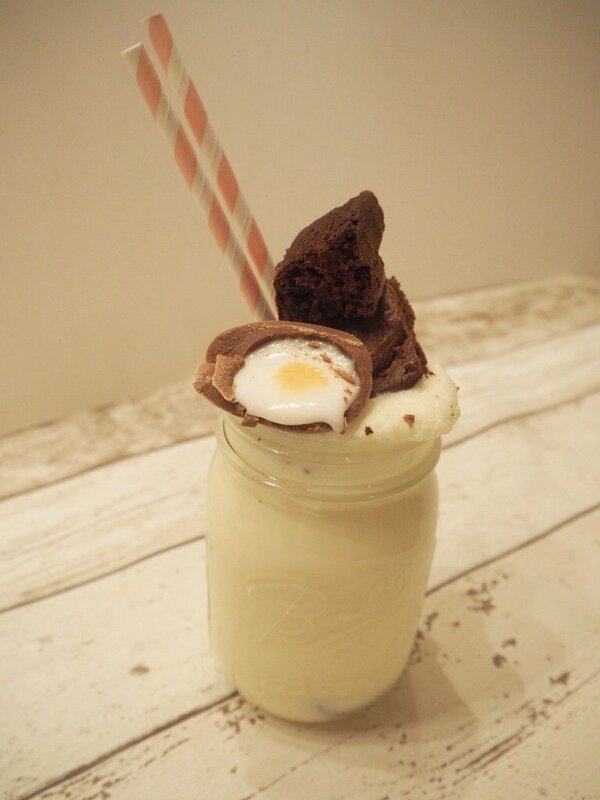 Add the brownies and other half of the Creme egg to the top of the mason jar.